Tattoo Blog » Meet Michele Turco! 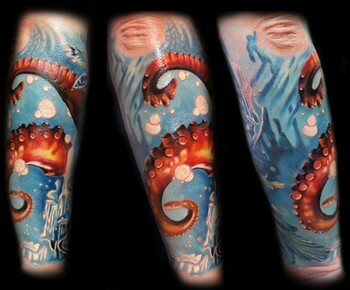 Tattoo Blog » Inspired » Meet Michele Turco! Sometimes you don’t plan to be a tattooist. Sometimes, it finds you and makes you realise that you just need to be a tattoo artist. Such was the case with Italian tattooist Michele Turco. Originally attending a technical industrial institute in pursuit of a career, Turco came to the realisation that no matter what he achieved from working in an industrial field, it wouldn’t satisfy him as much as the arts could. 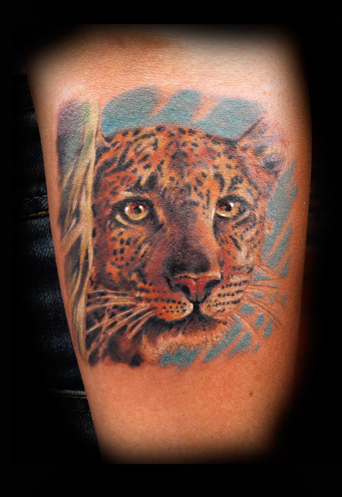 So, in 1989, Turco began tattooing in a small studio in his hometown of Piacenza. As time passed, Turco came to understand that tattooing meant much more to him than he had originally thought. The entire concept of tattooing became more than a matter of drawing on flesh. It was attached to the client in other ways, particularly through their personality and what they might be hoping to express through the art itself. In this way, Turco feels that he truly gives his clients what they want and what they need. As a matter of fact, Turco says that the name of his studio in Piacenza: Da Cosa Nasce Cosa, best sums up his philosophy on tattooing and of his own style. Working primarily in the realistic/portrait style, Turco’s work is bright and detailed, sharp and laid out on the body with a solid awareness for proportion and shape. The more that I see of it, the more impressed I am. Even his studio in Piacenza impresses me with its quaint, stylish and laid back atmosphere. 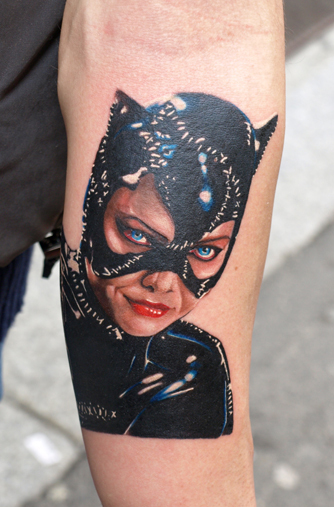 Whenever I see an artist of this calibre, I’m always thankful that they turned their skills to tattoo. We’re all better off for it and when one considers that Turco could have just as easily finished up his time at that technical industrial institute and gone on to things other than tattoo, it makes it all that much sweeter to know he’s out there tattooing.